St John’s Upper Holloway Primary School is a gem of a primary school, set in the heart of North London. It is located moments from Archway underground and Upper Holloway overground stations, and is well connected via bus links. 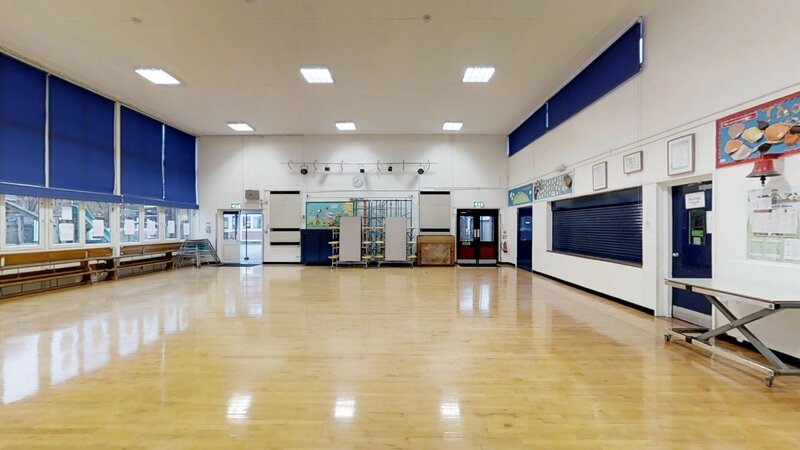 The school features a well kept main hall, decorated classrooms and an excellent outdoor space, making it a prime venue for London community groups to hire. Get in touch now! Want to get an idea of what the school looks like? 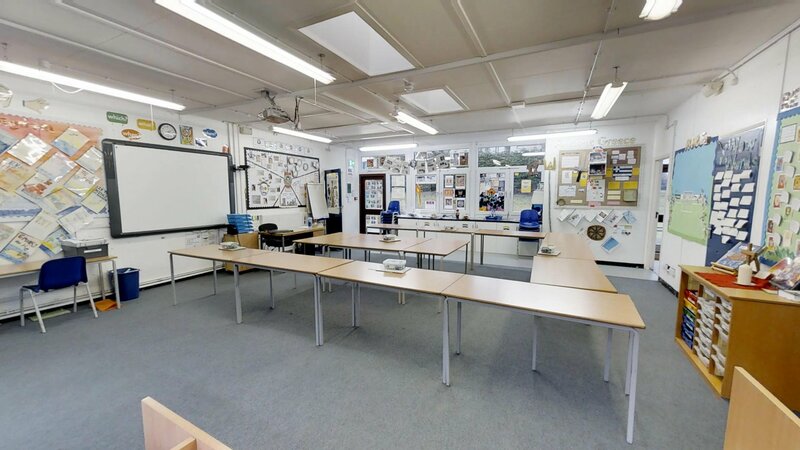 Experience the St John’s Upper Holloway School virtual tours coming soon. The Main Hall at St John's Upper Holloway is a large hall with a beautifully maintained semi-sprung wooden floor. It can be used for a variety of events such as indoor sports, children's birthday parties or dance groups. There are tables and chairs are available on request. The size of the hall is 15m x 15m. This lovely playground is a rare find in London. 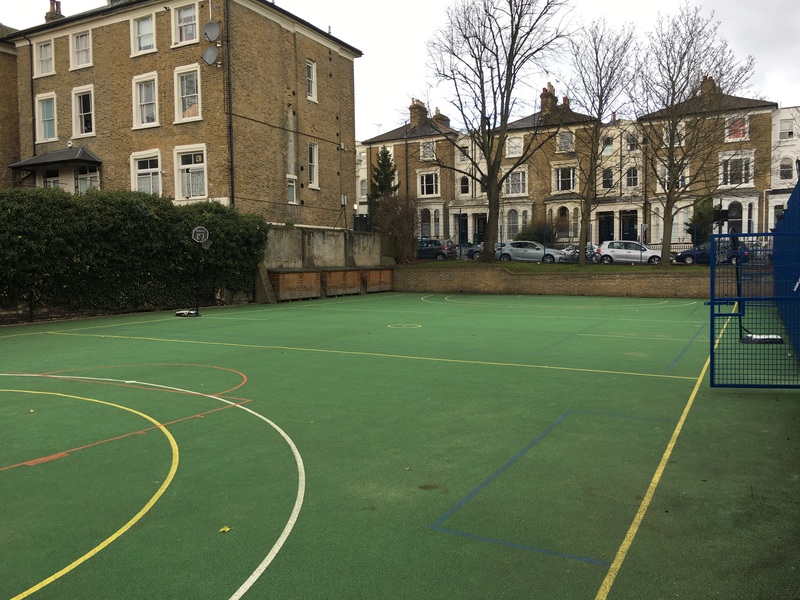 Suitable for a variety of sports, there are basketball hoops to use, and line markings to fit 5-a-side football, mini-netball, mini-basketball, and short tennis. The floodlights make it a perfect space for winter training, and the hard rubber flooring means that falling over need not cause bruises! If you are looking to book St John’s Upper Holloway School, please plan in advance! We are unable to accept bookings or amendments less than 7 days in advance of your proposed start date.